Because the Commission considers whether there is a reasonable probability that he will commit another crime this can be addressed in your letter. Please type on letterhead Date the letter Add a subject line such as “In regards to: Dr. Mutulu Shakur #83205-012” Begin your letter with “Dear Honorable Members of the Parole Board:” Include biographical information such as your name, age, occupation (if you have been employed in the same field for some time, note that in your first paragraph) and relationship with Dr. Shakur or how you know him. Mutulu Shakur is a Doctor of Acupuncture. Dr. Shakur is also a deeply committed New Afrikan (Black) community political activist who has taken part for years in the struggles for the liberation and development of New Afrikan (Black) people in America. Shakur’s political and social consciousness began to develop early in his life. His mother suffered not only from being Black and female, but she was also blind. It was Shakur’s first confrontation with the state. The experience of helping his mother negotiate the social service system made him realize that the system does not operate in the interests of Black people and that Black people must control the institutions that affect their lives. As an acupuncturist and health-care worker, Shakur worked from 1971 to 1978 for the Lincoln Hospital Detoxification Program in the Bronx, New York. From 1978 to 1982, Dr. Shakur was the Co-Founder and Co-Director of the Black Acupuncture Advisory Association of North America (BAAANA) and the Harlem Institute of Acupuncture. At Lincoln, Dr. Shakur led a program which used acupuncture to assist in the detoxification of thousands of drug addicts. The Lincoln Detox Program was recognized as the largest and most effective of its kind by the National Institute of Drug Abuse, National Acupuncture Research Society, and the World Academic Society of Acupuncture. At BAAANA, Dr. Shakur continued his remarkable work against drug addiction. He also treated and/or supervised the treatment of thousands of elderly and poor patients who otherwise would have received no treatment of this kind. Patients were able to receive quality health care at reasonable prices. Moreover, the clinic at BAAANA served on a regular basis many community leaders, political activists, lawyers, doctors, and various international dignitaries. At BAAANA, Dr. Shakur and his fellow cofounder, Dr. Richard Delaney, trained over one hundred students in the medical science of acupuncture. The training was accomplished through the BAAANA affiliate called the Harlem Institute of Acupuncture. Some of the trainees at the Harlem Institute of Acupuncture were already medical doctors, licensed by various states in the U.S.
and encouraged by their pilgrimage to prison. Brother Shakur also worked with the Revolutionary Action Movement (RAM) in his early years. This was a Revolutionary Black Nationalist group which struggled for Black self- determination and socialist change in America. 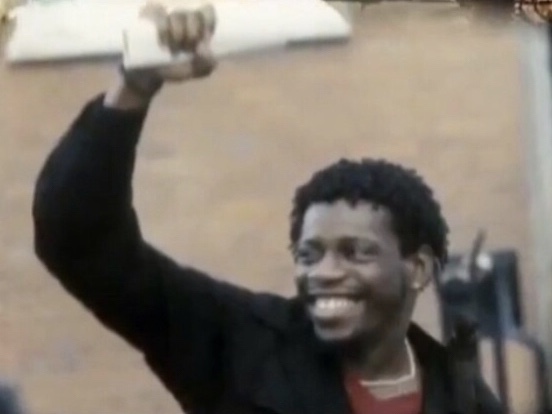 Brother Shakur’s primary work as a political activist was as a cofounder, leader, worker, and security personnel in the Provisional Government of the Republic of New Afrika. The Provisional Government was founded in 1968. Its objectives were to establish an independent New Afrikan (Black) Republic in the states of Georgia, Alabama, South Carolina, Mississippi, and Louisiana, the traditional Blackbelt states in the Southeastern portion of the USA. Although the Provisional Government’s objectives were certainly viewed with disdain by the U.S. government, various American law enforcement agencies, media giants, and whites generally, its existence has been long-standing and supported by reputable persons in the Black communities across the country. Indeed, the P.G. RNA and the New Afrikan Independence Movement, of which it is a part, grew out of the various struggles of Blacks against repression in America. The Provisional Government is, in part, supported by and composed of educators, lawyers, political leaders, workers, and other reputable persons in the Black communities across America. Brother Shakur has also supported the struggles for Afrikan independence in Afrika. Indeed, he traveled to the nation of Zimbabwe in 1980 at the invitation of the Zimbabwe Afrikan National Union. Brother Dr. Shakur has furthermore been a dedicated worker and champion in the struggle against political imprisonment and political convictions of Black activists in America. He has also been a leader in the struggle against the illegal U.S. and local law enforcement programs designed to destroy the Black movement in America and has worked to expose and to stop the secret American war against its Black colony. Bro. Shakur served on the Committee to Defend Herman Ferguson, a leading Black political activist and educator charged in the RAM conspiracy case of the 1960s. Dr. Shakur was a member of the National Committee to Free Political Prisoners. He has worked to legally defend and support political prisoners and prisoners of war like Imari Obadele, Ph.D., and the RNA 11, Rev. 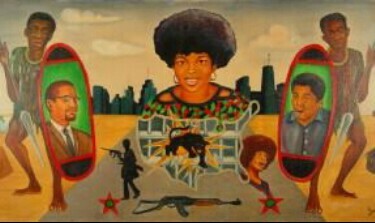 Ben Chavis and the Wilmington 10, Geronimo Pratt of the Black Panther Party, Assata Shakur of the Black Liberation Army, and Sundiata Acoli of the Black Liberation Army. He contributed to the development of a petition to the United Nations by the National Conference of Black Lawyers and others. The petition is now documented in the book, Illusions of Justice, by Lennox S. Hinds. He has worked with the National Conference of Black Lawyers in developing defense committees for numerous political prisoners and Black prisoners of war. Bro. Shakur was most importantly a cofounder and director of the National Task Force for COINTELPRO Litigation and Research which investigated, exposed, and instigated suits against the FBI and other American law agencies for criminal acts, domestic spying, dirty tricks, repression, and counterinsurgency warfare maneuvers against the New Afrikan Independence struggle and others struggling against oppression in the U.S.
Because of his work in the National Liberation Movement, his freedom of information files (F.O.I.A.) expose that, from the age of 19, Dr. Shakur’s activities in the National Liberation Movement were reported to the Director of the Federal Bureau of Investigation every three months. These reports contained language clearly indicating a nefarious set of actions against him. He believes through continuing discovery actions, more significant information will be exposed, revealing a classic continuation of COINTELPRO leading to his indictment in 1981. He was charged and convicted, and was sentenced to 60 years, for allegedly perpetrating a conspiracy against the United States government, regarding the activities of the Black Liberation Army/New Afrikan Freedom Fighters; charges which consisted of expropriations of funds, which reportedly went to liberation movements throughout the United States, and throughout the world; regarding the liberation of Prisoners of War inside the U.S. prisons, such as Assata Shakur, and the perpetuation of an underground network. Mutulu Shakur is receiving support from the Jericho Amnesty Movement http://www.thejerichomovement.com and http://www.prisonactivist.org/jericho_sfbay and from the Anarchist Black Cross Federation.